Russia’s S7 Group (includes Sibir and Globus carriers both operating under S7 Airlines brand) announced it reached an agreement with the Sea Launch Consortium to purchase its assets. Upon completion of the transaction, which may take as long as half a year, S7 will acquire the Sea Launch Commander vessel, the Odyssey launch platform with all the equipment onboard, Sea Launch program onshore equipment stationed in Long-Beach, California, and the Sea Launch trademark. However, the transaction is still subject to approval by the Directorate of Defense Trade Control (DDTC) and the Foreign Investment Committee of the United States (CFIUS). The new owner expects to resume launches in 2018, general director and co-owner of S7 Vladislav Filev says. In 2014 launches were suspended due to the conflict in Ukraine. 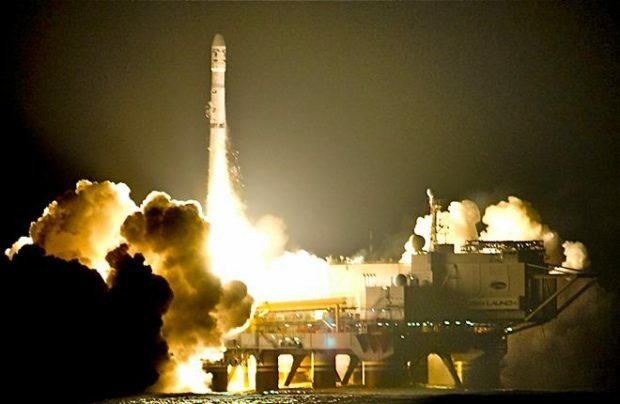 The Russian Korolev Rocket and Space Corporation Energia (RKKE) will help S7 to restore the Sea Launch project. It will provide engineering and launch support as well as system integration services. “The purchase of the launch platform is our admission ticket to the space industry. It is a rather attractive and promising business for us,” said Filev. Sea Launch is not Filev’s first international project. Cyprus air carrier Charlie Airlines, which is partially owned by S7 and has a right to use the brand of former Cypriot flag carrier Cyprus Airways, is expected to start operation by the end of this year. Moreover, Filev is said to be connected with American general aviation light turboprop aircraft manufacturer Epic Aircraft. Vladislav Filev is a graduate of the Leningrad Military Space Engineering Academy. In 1985-1993 he served in the Russian Strategic Missile Forces.